What do I require from myself? First of all, I am an idealist, on my performances, I always put my heart, fire shows is well planned and telling the stories that's why people who could see my performances and remember me for a long time. Doing something with the Passion I reflecting my fulfilment because there’s nothing more important than having pleasure from doing something that I love and giving self-satisfaction. We do fire shows, light shows, we also have a cube to juggle one of a kind that provides full satisfaction from the show. 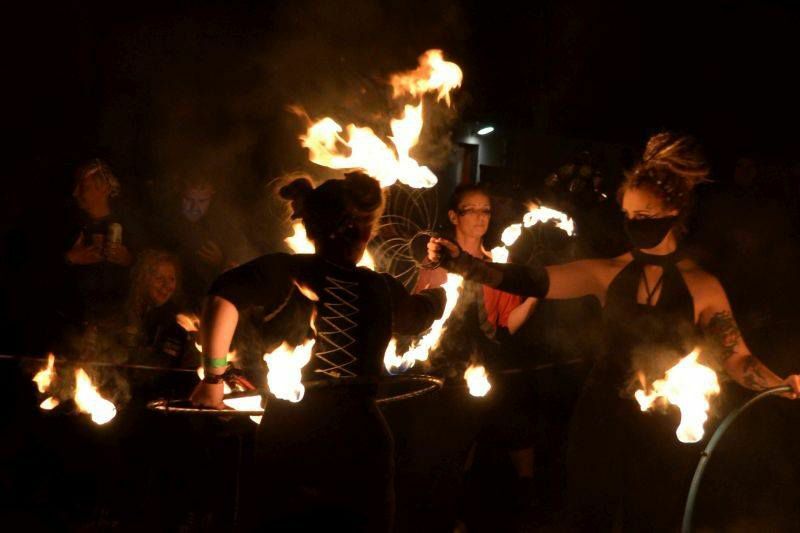 Fire Spinning, Fire Breathing, Cube Juggling, Smoke Bombs,Fireworks , A Lots Of sparks .